Victorinox Swiss Army Knife in Hunter Red for survival carry, hunters, camping or every day carry. This pocket knife is designed with a wood saw branch and limb cutting and has a gutting blade for carving your game if your a hunter! 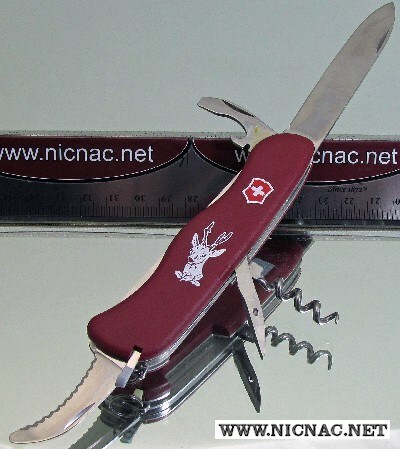 Comes with full size plain blade, serrated blade, corkscrew, toothpick, bottle opener and blat head screwdriver too! Full size blade is 3". Great for your backpack!